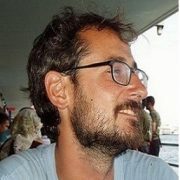 Giorgio Barba Navaretti is Professor of Economics at the University of Milan. He has a PhD in Economics from Oxford University. He has been a consultant for the World Bank, the OECD, the European Commission, UNICEF and the Italian Ministry of Foreign Affairs. He is specialised in international and development economics. Gianmarco I.P. 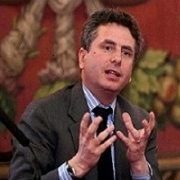 Ottaviano is Professor of Economics at the LSE and at the University of Bologna (chiamata per "chiara fama") , Director of the Globalization Programme at the CEP, research fellow of the CEPR, research fellow of the Center for Financial Studies Frankfurt and non-resident senior fellow of Bruegel. He received his Ph.D. in Economics at the Université Catholique de Louvain. 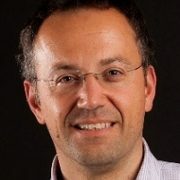 Tommaso Frattini is Associate Professor at the University of Milan. He is also research fellow at CReAM - UCL, Dondena, and IZA. He received his PhD in Economics at the University College London in 2010. 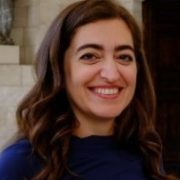 Mariapia Mendola is Associate Professor of Economics at the University of Milan Bicocca, research Fellow at IZA and co-editor of The B.E. Journal of Economic Analysis and Policy. She received her PhD in Economics at the University of Milan in 2005. Her main research interests are in the fields of Development Economics, Household and Population Economics, Applied Microeconomics.